Do you have a plan for wireless infrastructure? When installing JD Edwards, do you know who will survey the facility, install access points and controllers? And once that's done, who can provide pre-printed labels and recommend appropriate devices - all for the correct environment? From hardware recommendations and RF infrastructure installation to managing hardware maintenance agreements, our dedicated hardware professionals make it easy for you to ensure you have the right equipment now and in the future. "Even in our busiest quarter, we’ve brought on new staff, given them a Honeywell device with RF-SMART, and they are up and running within hours. They simply follow the steps on the device." 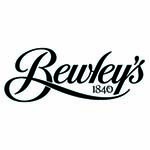 See how Bewley’s leveraged our dedicated hardware team to boost worker productivity and gain higher overall warehouse efficiency. Want to try out the newest technology and fastest processors for your warehouse?